The Profound VIBRA wireless alarm beacon is a battery powered portable alarm that provides a visible alarm signal for a vibration monitoring system from the VIBRA series. 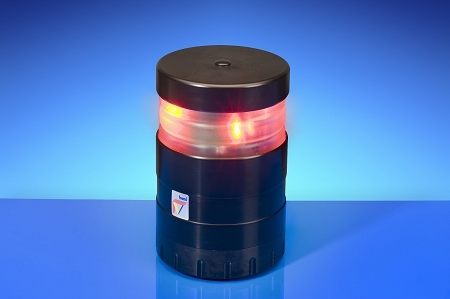 • The high intensity LED's of the alarm beacon effectively notify personnel of an exceeded vibration treshold. • Several beacons can be linked to one VIBRA system. • Due to wireless design and integrated mounting options the beacon can be placed at clearly visable locations. • The internal batteries guarantee a long operating life.